Enduring commandments aside (always say “no” to pleats), menswear moves at warp speed, changing with each season, trend, and industry gale. But that’s what makes fashion so fun: the rules are meant to be played with, since they’re rarely in place for long. Office style? Not so much. Favoring convention over quirk, that etiquette has long remained stuffy. At least, that was the case. Recently, there’s been a loosening of the tie (quite literally) when it comes to desk duds, owing, in part, to the embrace of street style and advent of athleisure. The old guard is changing out of stuffy pinstripes, over-starched button downs, and loafers, and into denim, graphic tees, and sneaks. Even so, unwinding your work wardrobe is sticky. Every corporate culture is different, and deviating from standard style can raise eyebrows. On the other hand, challenging the norm shakes up your routine, injects flavor into your day, and helps bridge work and personal life. Below, a guide to bringing some edge to your business fit. Not all offices are equal. If you work in a formal environment, experiment with bending, not breaking, the rules. Relax your staples. If you’re typically suited up head to toe, doff a tailored blazer with dark denim. Diversify your plackets, too, by subbing in a plaid or patterned button-down for your default monochromes. Lastly, leave your loafers or wingtips at home and bust out understated sneakers to channel a white-collar (sans actual collar) vibe. Don’t be intimidated by the refresh. The fit just says that you’re serious about your job and how you look while you’re doing it. Your work wardrobe doesn’t exist in a vacuum. Take other factors, like your commute and the season, into account. If you have to battle unfriendly elements or brutal temps on the way to the office, opt for technical pieces like a zip-out hood blazer. It’s suitable for the outdoors but appropriate for the cubicle. Plus, it lets you leave the clunky outerwear at home. 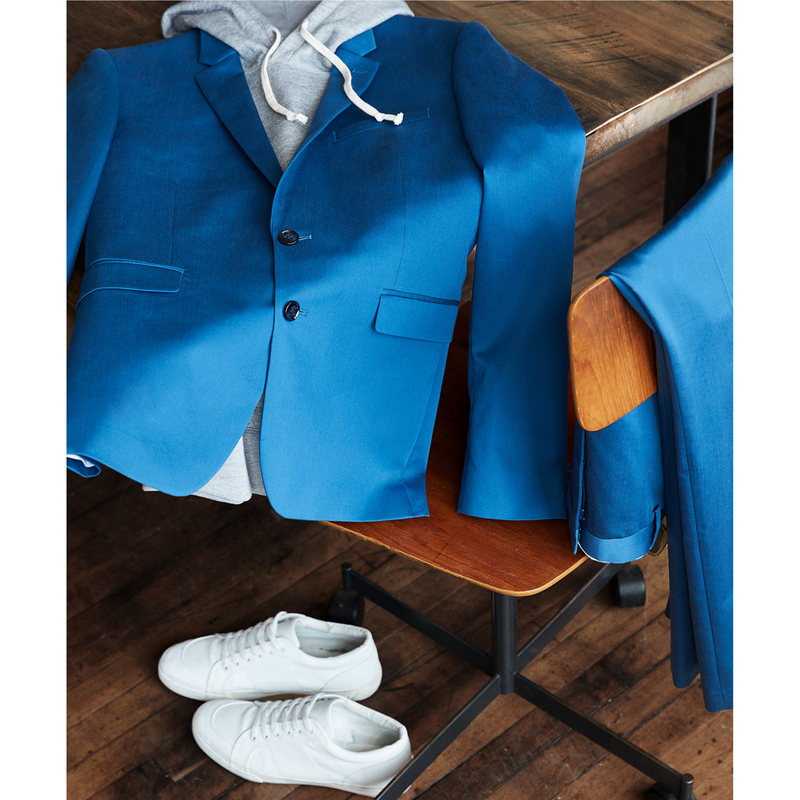 Or rock your sharpest suit with a slim hoodie or zip-up, which currys up style cred without sacrificing professionalism. Traditional office wear isn’t just stodgy, but also impractical. Packing a change of clothes for the gym, a date, or whatever awaits after you clock out is inefficient and cumbersome. To get the most mileage out of a getup, take stock of your day and wear what will let you to navigate it most efficiently. 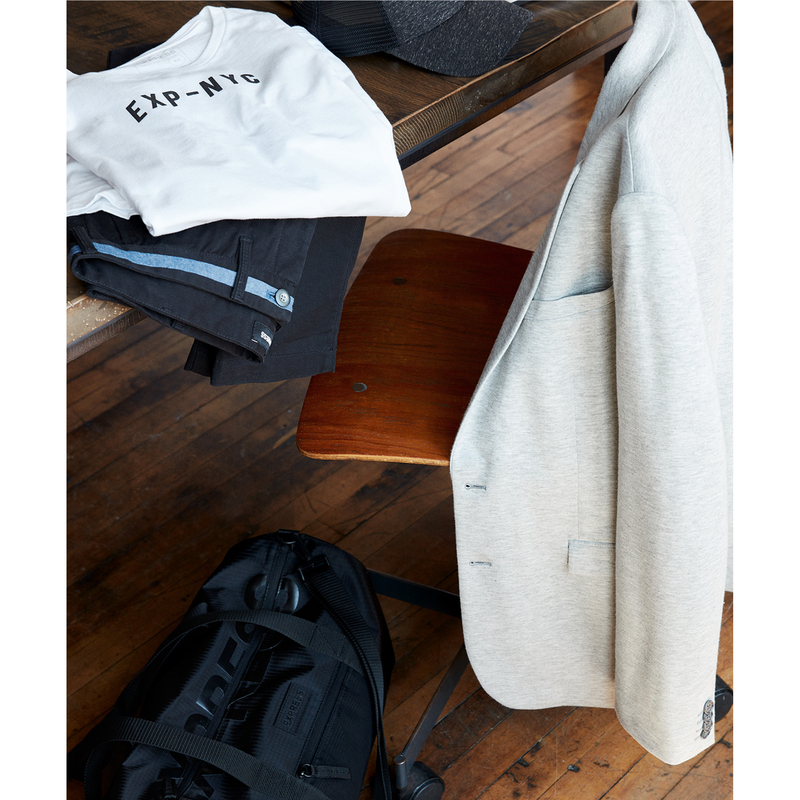 If your post-work plans include a workout, or if an all-nighter (and early riser) at the office is in your near future, get swervey by pairing a blazer with joggers or streamlined sweats. It’s a bolder style hack, but in maximizing versatility, you’re leveling up by dressing down. Casual Friday isn’t an easy ace. While it’s a reprieve from workweek demands, too often guys conflate “casual” with carelessness. The aim is edge, not apathy—so while the occasion might call for T-shirt and jeans, sharpen with some bold, handsome dress pants (read: not your standard black or khaki) and evergreen staples, like a gray pullover. It’s a decidedly modern yet timeless way to feel buttoned up without having to literally be it.